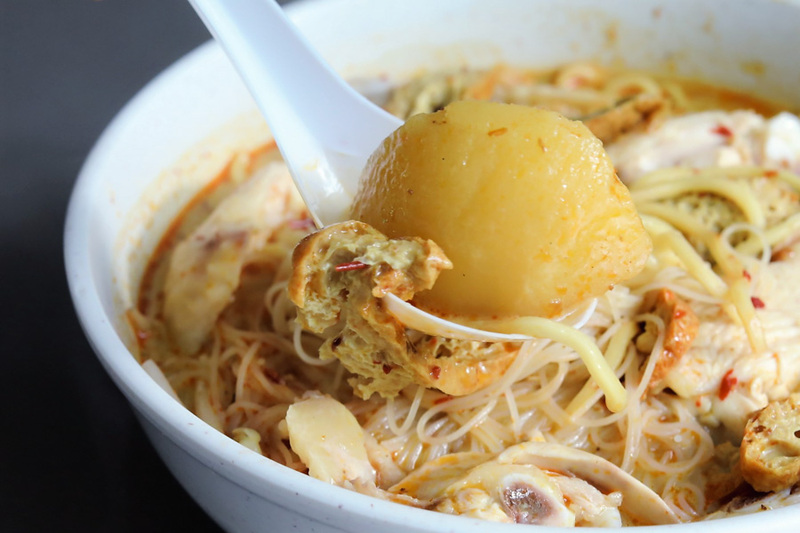 Curry Chicken Noodles is one of those local hawker dishes that are fast diminishing in Singapore. 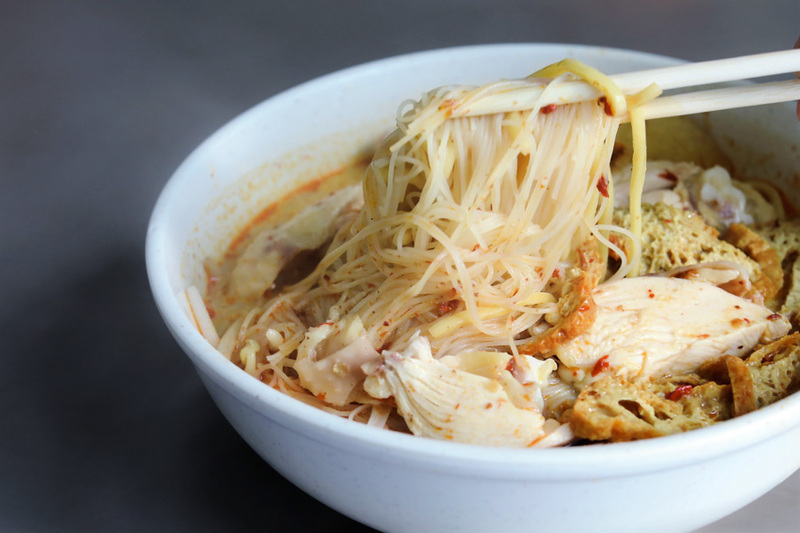 Some of the most famous ones include Do Po at Golden Mile Food Centre; Heng Kee Curry Chicken Bee Hoon Mee and Ah Heng Chicken Curry Bee Hoon Mee – both at Hong Lim Food Centre. 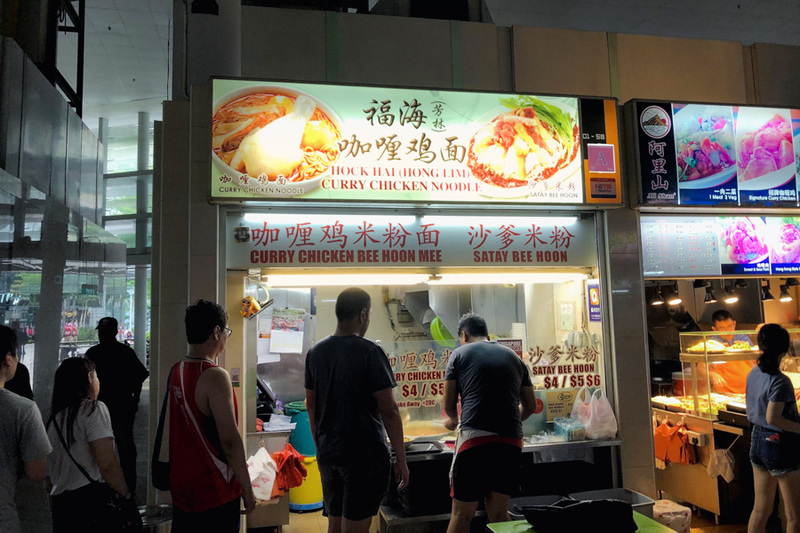 Then, there are two more: Hock Hai (Hong Lim) Curry Chicken Noodle at Bedok Interchange Hawker Centre AND Fu Hai Curry Chicken Noodles at Albert Food Centre. Their Chinese names 福海咖喱鸡米粉面 are THE SAME, but each would claim there are NO other branches in Singapore. 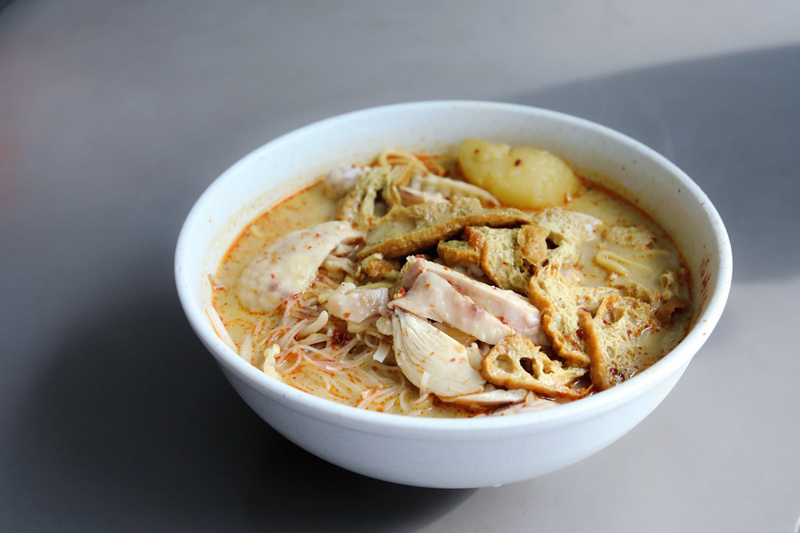 Hock Hai (Hong Lim) Curry Chicken Noodle has been around way before Bedok Interchange Hawker Centre’s renovation in 2013. 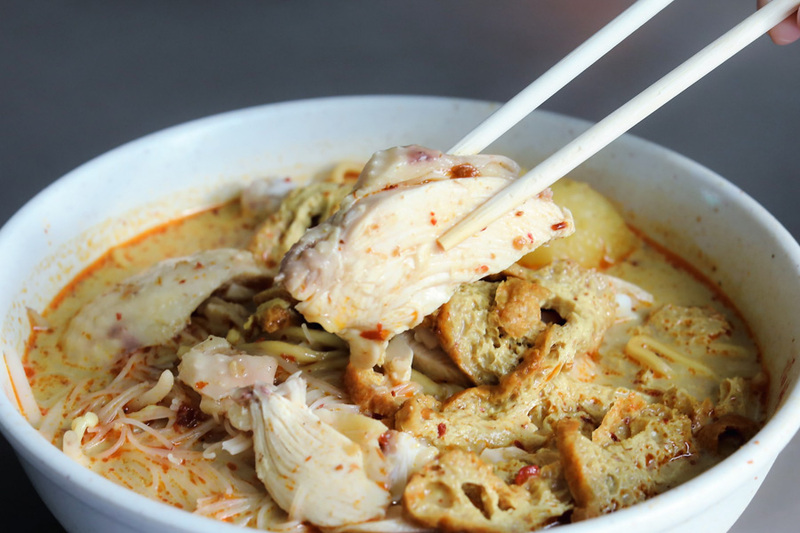 Known for its noodle bowls that brim with ingredients, it offers Curry Chicken Noodles at generous portions. 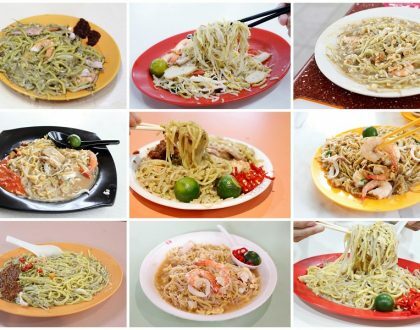 If you’re a fan of this type of noodles and live in the east side of Singapore, this place is for you. 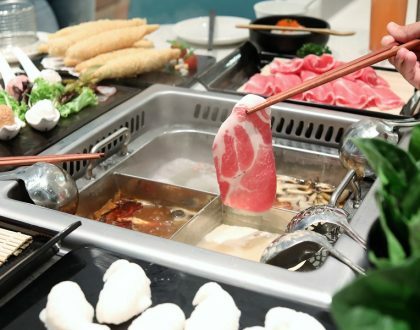 You don’t have to go all the way to Hong Lim Food Centre to appease your cravings. 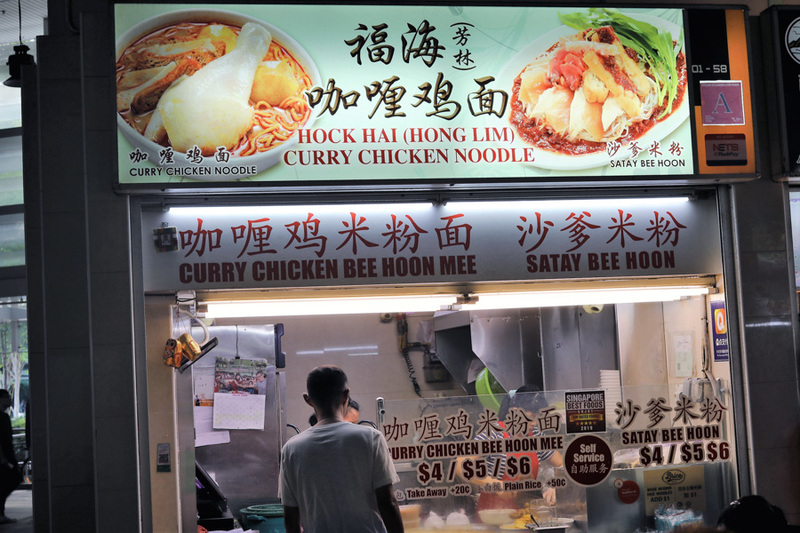 Though it also sells Satay Bee Hoon ($4/$5/$6), Hock Hai’s house special is the Curry Chicken Bee Hoon Mee ($4, $5, $6), the signature dish that people flock here for. In the stall, a large pot of curry filled with ingredients will entice you even from afar with its fresh-cooked aroma. The Curry Chicken Noodle was served in piping hot curry soup that was fragrant, medium-bodied and mildly spicy. Prepared home-style ala grandma’s way of cooking, the soup tasted mildly sweet, savoury and spicy from the blend of different spices and coconut milk. If you are thinking that the gravy would be thick and rich like curry, this is actually closer to Laksa’s consistency. After trying out a number of Curry Noodles in Singapore, this came across as more mild and not that overpowering. I can imagine some people would prefer curries that are more flavourful and aromatic. Personal preference: the two other versions at Hong Lim though being greasy, worked better for me. Maybe it was the chilli. 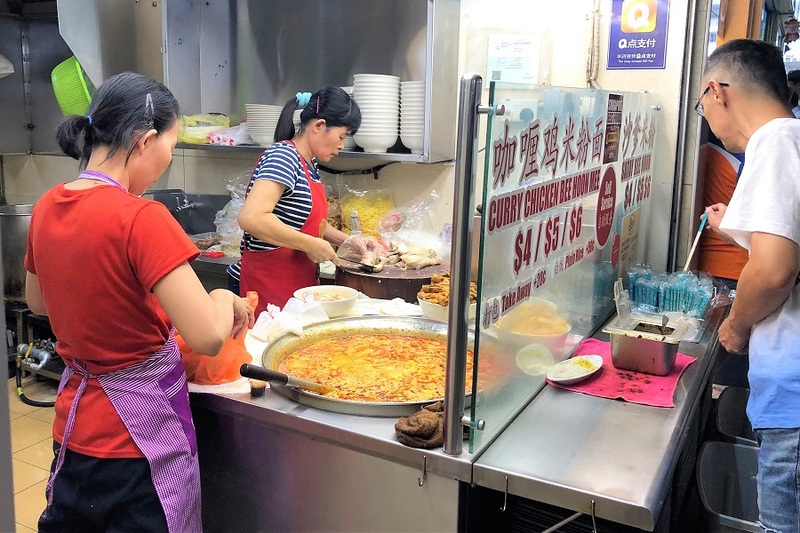 At least the price is a steal given its generous ingredients – loads of yellow and bee hoon noodles (in fact too much), large chunks of poached chicken, a chicken leg, taupok, bean sprouts, fish cakes, and pieces of soft potatoes – which are my favourite part of the dish. 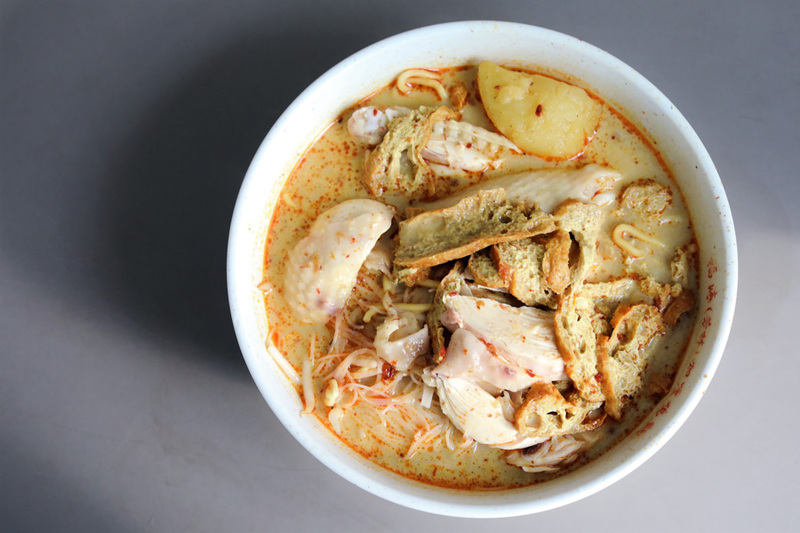 The chicken is mainly breast minus the skin (good for weight watchers, then again, curry…) The chicken, fish cake, taupok, and potato all soak up the flavours of curry without being too soggy. 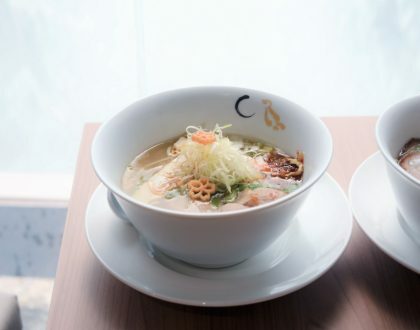 As for the noodles, ask for yellow noodles, bee hoon, or a combination of both. There is also the option of kway teow.